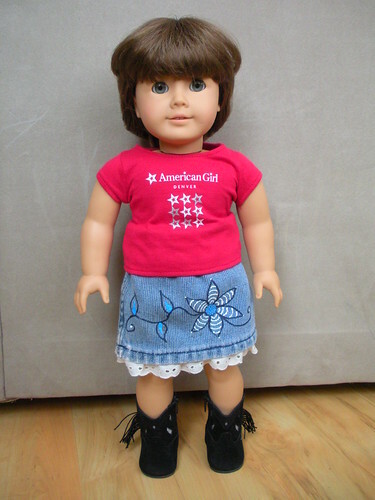 American Girl Doll Play: Sewing with Misty - Turn Pants into a Doll Skirt! 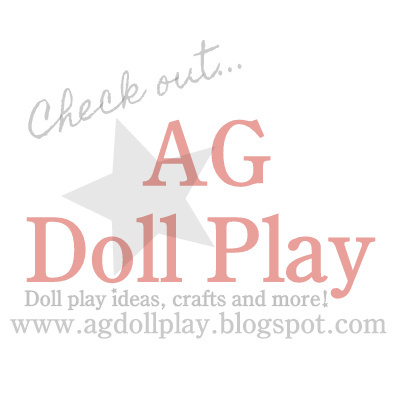 Sewing with Misty - Turn Pants into a Doll Skirt! Now that our doll family has doubled in size to four dolls, I've been scouring the internet for easy doll clothing to make. I was really happy when I found this quick tutorial on Creating My Way to Success for a denim skirt made out of a pants leg by Creatively Content! Here's our Molly wearing her new denim skirt. I love how quickly this skirt came together and really, any pant(s) leg would work. How cute would a corduroy skirt be? I added some lace trim to the bottom of my skirt for a sweet touch and used some puffy paint and a sharpie to hide some existing stains. 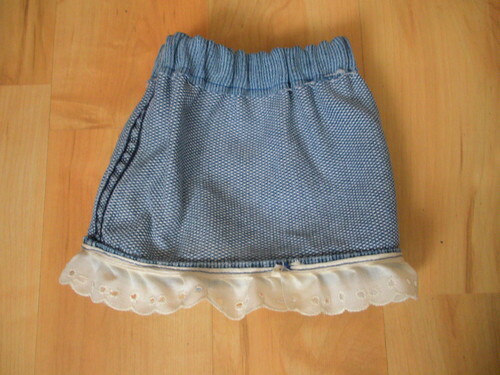 Here's a look at the inside of Molly's skirt. All I used was a basic straight stitch for the waist as well as for the lace. And that's it! Now to find more pants around here to cut up! How fun & what a great repurpose. I agree Becky! Pretty sure I could even manage this! !